"While vile mutants still draw breath, there can be no peace. While obscene heretics' hearts still beat, there can be no respite. While faithless traitors still live, there can be no forgiveness." — Legiones Astartes Silver Skulls' Catechism of Hate. The Termite bursts from the floor of the main cave, and the acolytes get a view of the situation as they clamber out. Hordes of mutants – about two groups of twenty or so — are pouring out of newly carved side tunnels. The Queen's Scourges two-man fire teams are posted at each of the five main tunnels, with the Arbites squad posted at the entrance of the one tunnel leading to the surface. Rollando takes cover in the rubble then checks around for Captain Movern Hernandez and Assod Morir, and spots the latter emerging from a tunnel. He takes aim and shoots – blowing off part of the mutant's jaw, but Morir keeps coming! Proctor Rotlan leads his squad to engage a group of mutants. The mutant hordes quickly overrun the bulk of the Queen's Scourges fire teams. Calpurnia lets fly with her auto-rifle against the mutants attacking the main tunnel and severely damages them. Aenid opens up with her auto pistol against the mutants running out of the closest tunnel, opposite the main entrance. Everyone else having disembarked, Sanctus Machina gives another quick prayer to the Machine God and takes the Termite across the cave floor to squash a group of mutants into bloody pulp. The mutants, angered by the bloody charge of the Termite, turn toward the digging machine. Huge pulses of fire strike the Termite and heavily damage it. Rollando shoots at Assod Morir again, hitting him in the head for a second time, splattering it like a ripe tomato, but the mutant keeps charging! From the tunnel leading to the surface, they hear the sound of an explosion and a rumble of collapsing stone. Calpurnia, still hailing bullets with the auto-rifle, finishes off the group of mutants blocking off that same tunnel. Despite the damage, Sanctus Machina coolly keeps control of the Termite until it is immobilized and manages to summon the spirits of refrigeration to suppress the flames. Assod Morir, still running forward, seems to be growing a new head! The hordes of mutants are start to overrun Rotlan and his Arbites. Baron Ulbrexis, spotting Assod Morir, counter-charges! Aenid switches from her auto-pistol back to her weapon of choice, the shotgun, and advancing to meet the closest group of mutants, discharges a volley. Meanwhile, Proctor Rotlan rallies his hard-pressed Arbites squad. Raze turns to Rollando and discharges three huge bolts of flame, wounding the Capitan. Assod Morir and Baron Ulbrexis collide in the center of the cave. Throgel runs to catch up with Morir. Rollando gathers himself, turns to face Raze, and lets go with a three-round burst of his lasgun. He wounds her in the head but she ignores the blood streaming from the cut. The mutants are shooting left and right, the Termite's wiring is sparking! Proctor Rotlan and his squad mow down another group of mutants. Sanctus Machina targets Assod Morir and Throgel with a Luminen Blast. The mutants are hit and horribly singed, but keep going. Aenid puts down another group of mutants while Calpurnia moves to meet Raze and fires the auto-rifle, but the mutant stays up. Despite Calpurnia's sustained hail of bullets, Raze keeps launching bolts of fire at Rollando, who stalwartly endures. Throgel attacks Baron Ulbrexis but flails around uselessly. Procotr Rotlan and his Arbites annihilate another group of mutants. Aenid splatters another squad in a hail of shells. Assod Morir reaches under his cloak and pulls out a strange substance covered in unholy runes and starts concentrating on it as the runes begin to glow. Baron Ulbrexis hits Morir with his sword, causing serious damage and apparently surprising the mutant leader. The mutants' fire grazes Sanctus Machina, but he ignores it and fires his plasma pistol at Assod Morir, blowing one arm completely off – but the stump immediately starts to regrow. Rollando fires at Raze again, but she grits her teeth and keeps standing, but turns tail and runs back down a side tunnel. Ulbrexis hits Assod Morir again, causing him to flinch visibly. Aenid mops up most of the mutants remaining, and Proctor Rotaln finishes off the rest. 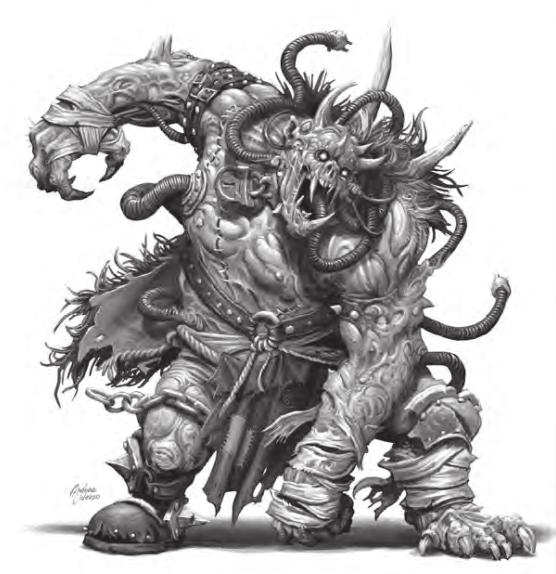 Throgel picks up Baron Ulbrexis and hurls him across the cavern, where he collapses in a hump. Morir starts concentrating again and the runes glow once more. Sanctus Machina discharges his plasma pistol in the direction of the rune-covered object, marring the runes without destroying it. A blast from Rollando's lasgun shatters the rune-covered rock and a sickly blue-green energy pours out. Morir's recently re-formed head looks unhappy. “Make sure Ulbrexis is dead!” and with this, starts sinking into the rock floor to waist level. Rollando starts running to check on the Baron. Rotlan and his squad strat double-timing toward the centre of the cave where most of the action now is. Sanctus Machina grabs a small quantity of the explosives he prepared earlier, and starts running toward Assod Morir before he disappears. Throgel obediently heads for Baron Ulbrexis' location. As the weird energy spreads through the cavern, the dead mutants start to stir again. Calpurnia hits Throgel with another volley of bullet, but he keeps charging. Sanctus Machina reaches Assod Morir and tosses the explosives just out of reach of the mutant's arms. Rotlan and his Arbites, seeing the mutants start to move again, form a flying wedge and keep moving. Throgel manages to reach the Baron, as does Rollando, sword in hand. Sanctus Machina's explosives go up, and Assod Morir disappears in the smoke and rubble. Aenid fires her shotgun at Throgel, but causes little harm. The mutants and Queen's Scourges begin to get up, and Aenid starts mowing them down again with head shots. The rest of them shamble forward and start striking at the brave Imperial defenders. Calpurnia rains bullets but in vain. Sanctus Machina heads back into the Termite to try to effect repairs; the Machine spirit is wounded, but willing to serve a little longer. Rotlan's team continues to rally and to shoot undead. Rollando slashes at Throgel with his sword, temporarily stymieing him. Rollando seizes the opportunity to grab the Baron's body and start running towards the Termite. Throgel starts pursuing. Aenid takes a shot a him on the way, but misses. Sanctus Machina revs the Termite and runs Throgel over, drillbit roaring. Calpurnia clears the mutants in the Arbites way, allowing them to make it to the Termite, and signals to the Hard Vault mutants to perform an orderly retreat. The Termite burrows back into the ground and after much effort, several stops and more makeshift repairs, Sanctus Machina pilots it back to the surface. All around they see chaos and terror not only in the Harrow Mine but all around, including in Baron Alswere's manor. Shambling undead mutants, serfs, and overseers are shuffling around. On vox com, they hear the sweet voice of Narthax calling from the frigate Pugnus Iustica, demanding an immediate report. As soon as they report, he announces a planetary bombardment and advises them to find cover. Sanctus Machina barely has time to have the Termite burrow again, and the ground starts shaking for a good half-hour. When the shaking subsides and the Termite finally emerges, it has to break through a layer of glassified rock. The Termite's drill is damaged but the vehicle can drag itself around slowly. As they disembark from the Termite onto the smoking surface, they are met by Narthax and Inquisitor Skane in Arbites carapace armour. The mine, the village, Precinct 14, and Baron Alswere's manor are all gone. Calpurnia asks for assistance for Baron Ulbrexis, and Inquisitor Skane asks Narthax to see to it. Then Calpurnia gives a succinct report on the battle they just sustained. Meanwhile, Rollando discreetly suggests to Narthax that the Baron should be kept intact for now for his usefulness. Narthax agrees but tells Rollando to make sure the matter is taken care of before they leave the planet. Astrid Skane asks who this techpriest here, and Calpurnia explains how useful Sanctus Machina has been since Port Wander. She cannot press him into service, but asks him to join her team, and he accepts. Next, she briefs them on the recent event. Apparently a planet-wide rebellion has erupted in the last couple of hours; many odd radiation patterns were detected. There has been no contact with Icenholm for a while. The Pugnus Iustica arrived a little early for the meeting with the acolytes, and took action. Inquisitor Skane is debating whether to declare an exterminatus against the planet. She decide that everyone will return to the Pugnus Iustica, pray and debrief.